Sorry getting a little ahead of the posts here, but just started listening to Episode 98 and its absolutely fantastic stuff. Its so interesting hearing Fox's frustration at the current batch of stories. The juxtaposition of the jump in quality from what I think is the weakest of the original Robo-Hunter stories in 'Death of' to the joy of Skizz is just fascinating and kinda foreshadows the shift I suspect will come if you compare the quality of thrills over all in this batch and what will be coming shortly. The shift in quality between say Prog 319 and Prog 335 is quite something to behold! 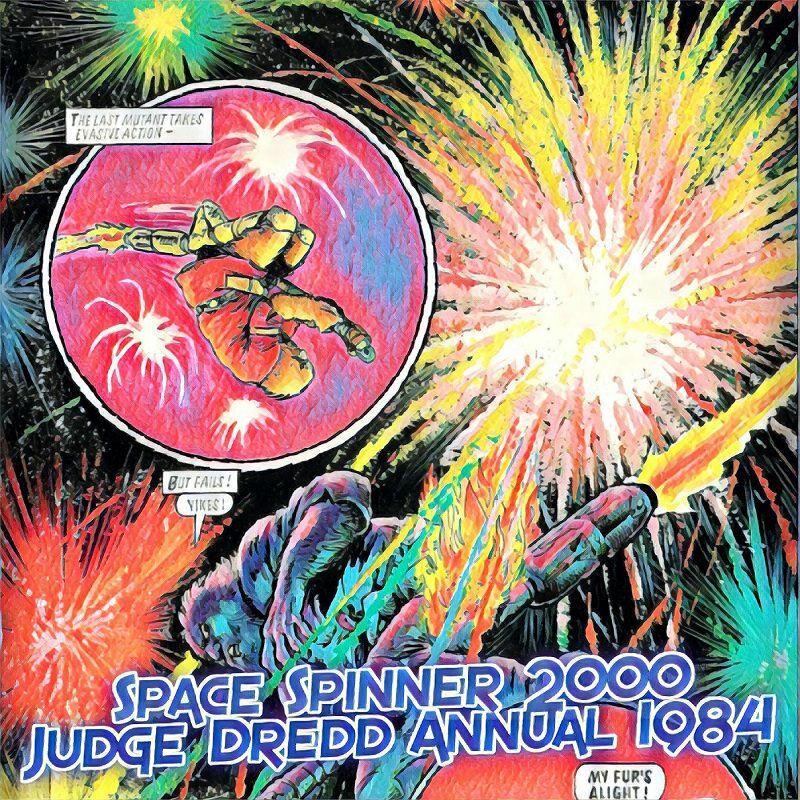 In our thrilling ninety-eighth episode Fox and Conrad continue their journey through the Galaxy’s Greatest Comic with Progs 317-320 of 2000AD, covering May and June of 1983. Join us as Rogue Trooper remembers Milli-Comm, Dredd checks out Condos, and DR and Quinch have fun on Earth! Also please start preparing your thrill circuits for our 100th episode, NEXT WEEK! I do really think it's interesting how Robo-Hunter being kind of a bummer can bring the whole set of progs down. It really speaks to the importance of a good opening story! It's kind of a bummer to see Robo-Hunter in this decline, but 335 is on the horizon and I for one and super stoked! I honestly like this batch of progs. The first time I read this Sam Slade story I had not yet read Verdus or Day of The Driods so this stepping back through Sam's history was not a problem for me. It may not be the greatest of the Robo Hunter cases but it is still Sam Slade and I enjoy him while I can. I liked the Time Twisters too and with DR and Quinch being the obvious highlight. The Stupid Gun was fun and could Condo be seen as an early attempt at a more Procedural Drama Dredd story? It is not a particularly memorable one but it works fine for me and has Ezquerra's art. Rogue's memories give insight into the formative years of the GIs and that's a nice break from the usual Nu-Earth based stuff. No need to say anything about Skizz since the praise is fairly unanimous on this one. The Slaying of Slade was running in the first progs I ever read - with the first prog I bought being the last episode - also of Skizz - upsetting for me as it was one of the things that got me in to the prog! Only a few weeks until 335 though, with one of the strongest line-ups there has ever been! I don't think it's an exaggeration to say that I wouldn't still be reading comics all these years later if it wasn't for the 1983 line-up in 2000AD! It's going to be a monster of a wrap up. Picking a bottom OR a top for that month will be a challenge! 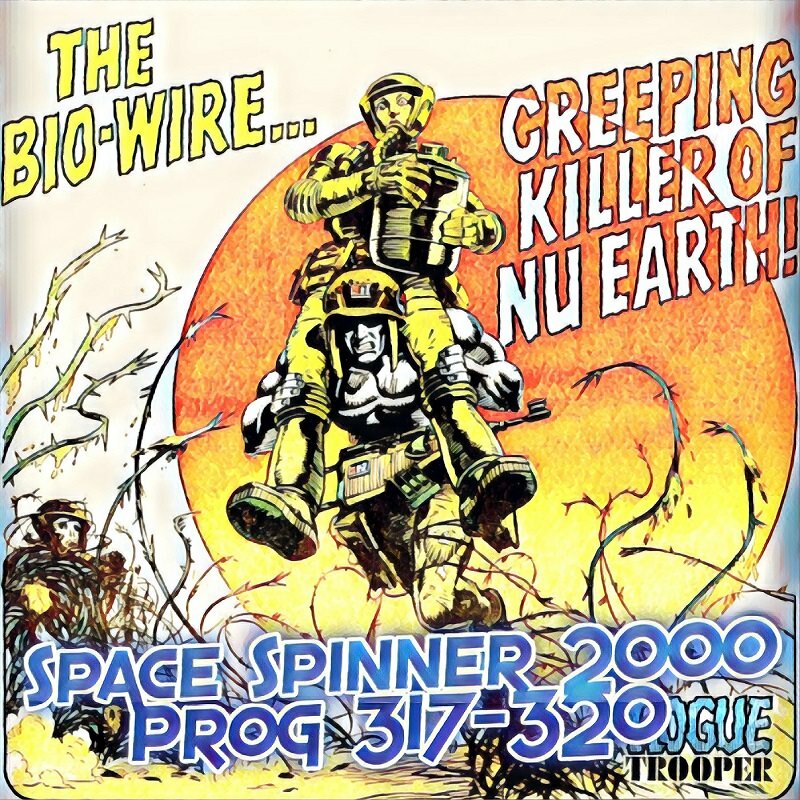 In our thrilling ninety-ninth episode we continue our journey through the Galaxy’s Greatest Comic with the 1983 Sci-Fi Special of 2000AD. This is the fourth Dredd Annual, and once again we have Carlos Ezquerra drawing three new full color Dredd stories, as well as classic Dredd, some features, and another Jose Casanovas Max Normal. This time I'm joined by Eamonn Clarke of the Mega City Book Club, who you surely know from around this forum! Stunned that Fox thought this same line-up was one of the weaker periods - but then I didn't like the first book of the Brutannia Chronicles (which seemed to garner heaps of acclaim) and have liked some of the later books more (when everybody else seems to be going off it). (Hate the typeface for the cythrons though). Well I for one love it! And I’m not at all biased. Podcasts collide as the skies turn red. Watch out if your name is Flash. I suspect reading in real time as us old timers did vs the condensed reading for the podcast hasnt helped these stories - I was surprised how vexed Fox was, but it does make sense when a story (or stories) are underperforming from previous high peaks... I always think the balance of more Alan Moore more than makes up for a few semi sluggish Grover scripts, and with the return of Pat at his finest and Stront at HIS finest.... hang in there our (non robot) pal! You only said that so you could get more/Moore three times in four words, right? I didn't get the reference to Ron Smith and "that thing with the clock"
One thing I’ve heard a lot about Ron Smith was that he’d figure out how much his paycheck worked out for to allow his to work a reasonable work week, and then he’d divide that evenly over each page he worked on, literally setting an alarm clock for each page, and once it went off that page was done. I’m not sure how real that, but I’ve heard it several times. To me this feels like people are accusing him of being lazy or something, which to me isn’t really borne out by the level of detail and amount of stuff going on in them, you know?